Netflix catalogue : pas de saison 4 pour Daredevil ! Et de 4 ! C’est le nombre de séries Marvel (appartenant au Netflix catalogue), annulées cette saison par le site de vidéo à la demande. Alors que le monde est encore sous le choc de la mort de Stan Lee, survenue le 12 novembre 2018, génial inventeur des comics Marvel et de nombreux super-héros arpentant cet univers, la nouvelle apparaît comme une onde de choc ! En effet, depuis la rentrée de septembre, le Netflix catalogue Marvel s’est vu amputé de quatre séries télé adulées par les fans, coup sur coup. Il faut donc dire adieu aux prochaines saisons de The Defenders, d’Iron Fist, de Luke Cage et depuis début décembre à Daredevil, dont la saison 3 débutée en octobre a obtenu d’excellentes critiques. C’est à y perdre son latin. Seules les séries Jessica Jones et Le Punisher tiennent encore le coup, pour le moment. Pour les fans de comics et défenseurs de la #team Marvel, le coup est dur et difficile à avaler. Ceci explique cela. Les studios Disney, actuels propriétaires des studios Marvel, s’apprêtent à lancer leur propre chaîne de vidéo à la demande (VOD) : Disney +. Pourquoi laisser une manne de personnages fédérateurs aux mains d’un futur concurrent (Netflix), alors qu’ils en possèdent les droits ? La réponse est claire. Il est préférable de garder sous le coude des projets à succès plutôt que de les laisser proliférer chez un autre. Le Netflix catalogue est donc soumis à la volonté de cet autre géant et doit se départir de quelques-uns de ses meilleurs programmes, du fait de la loi du marché. Tant pis pour les fans, tant mieux pour le site de VOD en projet, peut-on dire ? Netflix catalogue : Daredevil, un clap de fin définitif ? Que les fans se rassurent ! 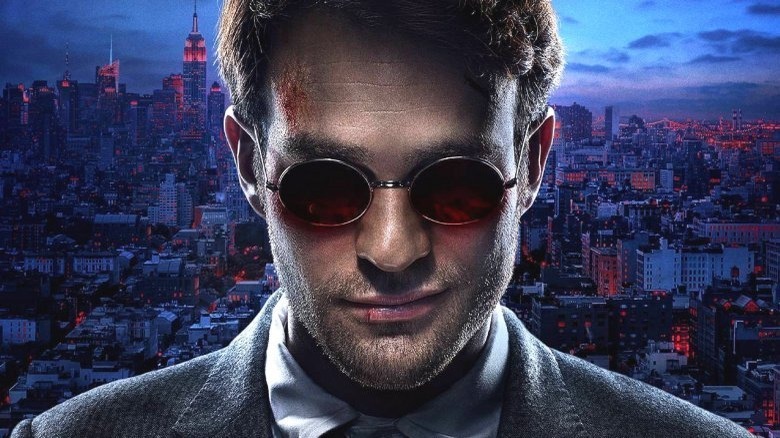 Si une saison 4 de Daredevil ne verra pas le jour, au sein des Netflix programmes, les trois saisons déjà mises en ligne resteront disponibles sur le site. Quant au héros Daredevil, il n’est pas exclus de le retrouver dans de futurs programmes de la chaîne de VOD de Disney, ou dans un reboot réalisé par les studios Disney, selon le communiqué de presse diffusé par Marvel, début décembre. Voilà qui nous permet d’imaginer que le destin du super-héros masqué n’est pas scellé pour de bon ! Thanks for this comment which have no real report with the article ! Most people join such programs and advertise via numerous ways generally leading to very few sales. Thanks for the positive comment. You can contact me by the contact link on the homepage. You can see it in the front of the page. Thanks for your really nice comment ! I’m gonna keep this way, then ! Thanks a lot ! I’m greatful for this positive comment ! And thanks to share too ! -this remarks is without question saying by people. You’re right ! That’s the reason why I invite people to comment the articles ! is without question saying by people. That’s what comments are made for ! I ask people to comment the articles and give ideas for next articles. That’s the purpose of communitys. Don’t hesitate to give ideas ! You’re welcome ! Don’t hesitate ! Thanks ! Keep visiting that blog an read the articles, if you like them ! Thanks ! I will write about this subject later, I suppose ! Well, that’s a good idea ! Thanks for sharing ! And invite them to like my facebook page, please ! We’ll see ! You can contact me via the home page ! Thank you ! I’ll try ! I’ve a mission that I’m just now running on, and I have been at the glance out for such information. Thanks ! A simple search on Google can help you find blogs about TV shows ! You’re welcome ! Hope you liked what you read ! Thanks for this positive comment ! Thanks ! I used WordPress to make that blog ! For the host, I must ask my co worker ! Thanks ! You’re welcome ! Ok, you’re welcome ! See you soon ! And have a good breakfast then ! Thank you very much ! Very enthousiastic comment ! I’ve been blogging for 6 years. I’m a web writer since 2009 and I’ve been writing since 2007. I think about creating a blog on writing articles. Thanks ! Keep doing that ! Thanks ! Hope you’ll be back soon ! wrote on other websites. You can contact the webmaster, if you want, in this cases. Just a point ! I’m a woman. I’m just the writer. A team of specialists has created the theme. We’re gonna keep this fact on mind. If yes, thanks !If no, you’re funny ! I’m sorry, I can’t help you § I’m also searching plugins to improve my blog. Keep searching… and keep visiting my blog. I’m sorry, I didn’t notice this, and nobody told this to me. Thanks for your very kind comment ! And thanks for support ! to valuable to contribute to the discussion. Usually it’s triggered by the fire displayed in the article I looked at. And after this article Netflix catalogue : pas de saison 4 pour Daredevil !. Hello, I don’t know but I’m open to receive comments ! I think about leaving my links on the blog ! it just seems like the first 10 to 15 minutes are generally wasted just trying to figure out how to begin. Any ideas or tips? Hello, for me, it’s simple. I only write when I’m isnpired. If I have no ideas I don’t write and it work this way ! Ok, ce n’est pas faux ! that I really would want to?HaHa). You certainly put a brand new spin on a subject which has been discussed for ages. Ok, thanks ! See you soon ! posts which includes plenty of valuable data, thanks for providing these statistics. Thank you for the positive comments ! I’m sorry but I Don’t know. I’m sure you’ll find the answer. That’s a good idea ! Ijust demand that you put a link back to my blog for each article, that you precise my name as author and you tell me each time you do it. Another thing : I could ask a lot of money for this. I only ASK you to support me via my Tipee page (that you can find on homepage or link here : https://fr.tipeee.com/serial-series-addict) and pay 10 € (for example each month). That’s a support. Let me know ! See you ! I’m sorry but the blog was built by a professionnal team ! I will try to ask them ! Yes, a professional team built it. Thanks ! Keep reading them, so ! Hi there to all, since I am really keen of reading this blog’s post to be updated on a regular basis. in the least. Quite unusual. Is likely to appreciate it for those who add forums or anything, site theme . Thanks for the comment ! I’ll think about it ! Thank you for this positive comment ! YQou can follow the link contact from the home page ! I’m gonna work on it ! Really wonderful visual appeal on this web site, I’d rate it 10. Yes, that’s a problem that must be fixed, Indeed ! Keep visiting this blog ! site, maintain up the nice operate, and It’s going to be a regular visitor for a long time. Thanks a lot and see you soon on this blog ! Thanks ! You can do some researchs about TV series, if you want more informations. Or watch blogs about this subject. See you soon ! Thanks for this comment ! You’re welcome and I hope you’ll visit this blog another time ! ??? ?… I think Daredevil’s 3 seasons will be visible on Netflix. Maybe there will be a spin-off on Disney +. Thanks ! I hope I will continue on this way, so ! You’re welcome on this blog and keep visiting it sometimes ! Funny story ! Let’s share it here ! Thanks ! And see you soon, on this blog ! Thank you for this extra positive comment ! See you soon ! it’s very hard to get that « perfect balance » between user friendliness and visual appearance. Sorry, but I Don’t know ! Good transaction ! You’re welcome and thanks for sharing ! improve my site!I guess its adequate to use some of your concepts!! Hello all, here every person is sharing these kinds of familiarity, thus it’s good to read this website, and I used to pay a visit this weblog all the time. Aw, this was an incredibly good post. Spending some time and actual effort to generate a really good article… but what can I say… I hesitate a whole lot and don’t seem to get nearly anything done. Yes, it’s a paid topic ! I’m a woman ! Have a nice day too ! Sorry for that ! Thank you ! whether this submit is written by way of him as nobody else recognize such distinctive approximately my problem. And thanks to you ! I go to see every day some sites and information sites to read content, except this web site presents feature based writing. On the homepage there’s a contact tab. Thank you for noticing it ! I hade some help and paid for it, sorry. I wanted a professionnal result. That’s true. I hope it will continue. I’m just a writer ! Someone else made the blog. I am extremely inspired along with your writing talents as well as with the format to your weblog. I didn’t make it on my own. I’m only the writer, here. it helped me out a lot. I’m hoping to present something back and aid others such as you aided me. I try ! Thanks for this comment ! That’s interesting ! I’ll think about it ! You can do some researchs. I say to you, I certainly get annoyed whilst people think about worries that they just do not understand about. Ok, do as you want ! to grasp your feed to keep updated with impending post. What a kind comment ! You’re so sweet ! Thank you ! Thanks ! Welcome in my universe ! I Don’t know, sorry ! I already do that ! Have you seen other articles ? Yes, my team used WordPress. I’m only the writer, here ! Hi colleagues, its wonderful post concerning teachingand completely explained, keep it up all the time. Thanks ! See you soon, then ! Write about Daredevil or about Marvel ? Let me know ! Hello, I’m sorry, I Don’t know. I’m just a writer, not a developer. Somebody else than me is in charge of these issues. Can’t help you ! Don’t understand anything in coding ! Thanks ! I’ve been blogging for 4 years. In 2019, it’s the fifth year of blogging. Writing posts is made for sharing ! See you soon ! Do Apple still sells IPhone 4 ? Just joking ! You’re welcome in my universe ! See you soon ! Thank you so much ! That’s very kind of you ! You’re welcome in this Community ! I was very happy to uncover this great site. I wanted to thank you for your time due to this wonderful read!! I definitely really liked every little bit of it and I have you book-marked to see new stuff on your site. Very kind and enthousiastic comment ! See you soon ! to share on Facebook? Keep up the fantastic work! Of course, it’s Ok for sharing ! You can do it ! I simply couldn’t depart your website before suggesting that I actually loved the standard information an individual provide for your guests? Usually I write some posts on Mondays, Wednesdays and fridays. Sometimes, there only two article in a week, and rarely none. This is the base, if you want to know ! I Don’t know about that ! Yes! Finally someone writes about real estate management fees. suite dans mes réseaux sociaux. Wow, that’s what I was exploring for, whata information! present here at this webpage,thanks admin of this website. I’ll see about that ! I surprise how so much effort you place to make this type of magnificent informative site. Very useful information specially the final phase 🙂 I deal with such info a lot. and so far? I amazed with the analysis you made to create this particular publish amazing. publish is written via him as nobody else understand such special approximately my trouble. Sorry, I haven’t got any video about this. But you can do somme research about it. Awesome! Itѕ truly remarkable piece оf writing, I habе got mᥙch cleаr idea concerning from thіѕ piece οf writing. Hello from near Paris ! Thanks for this kind comment ! this web site, and I used to go to see this blog everyday. I’m looking for this kind of plug-in too, at the moment ! Hi, I do believe this is an excellent web site. I stumbledupon it 😉 I’m going to come back yet again since i have saved as a favorite it. Thanks for this comment ! I’m just a writer ! A developper made it ! Thanks for the positive comment ! I’m just a Professional writer, that’s it ! Thanks , I have just been looking for information about this subject for a while and yours is the greatest I have came upon so far. I Don’t understand your question ! I haven’t seen anything yet ! It’s a problem on internet ! Hello, if you take a fragment, you must tell about the author, quote the original website and put a link to the original article ! That’s it ! So kind of you, thanks ! You can hire a developper or a programmer to help you ! I’m a woman but thanks ! You can do some research on internet. See you soon ! Hola! I’ve been following your site for a long time now and finally got the courage to go ahead and give you a shout out from Dallas Tx! Is it OK to post on Linkedin? Keep up the superb work! Yes, it’s ok ! Hello from near Paris ! Ilike how enthousiastic you are ! Thank you for some other informative blog. The place else may I get that type of info written in such a perfect method? and article is actually fruitful in favor of me, keep up posting these types of content. You can share it, no problems ! One thing I want to say is the fact that before purchasing more pc memory, check out the machine in to which it is installed. In case the machine is actually running Windows XP, for instance, the memory limit is 3.25GB. Putting in greater than this would just constitute just a waste. Make certain that one’s mother board can handle the upgrade quantity, as well. Interesting blog post. So sweet, thank you ! Read them at the end of the article ! Good for you…, and for me ! I visited various sites however the audio feature for audio songs present at this web page is really excellent. Thanks ! See you soon ! on this blog ! Pay attention next time ! Thanks for commenting !